A Set Bone Behavior (beSetBone) allows to edit the local orientation of bones or the value of blend shapes with an Expression. Set Bone behavior in the Behavior Editor. A Set Bone Behavior defines the following specific attributes. For common attributes see Behavior Common Attributes. 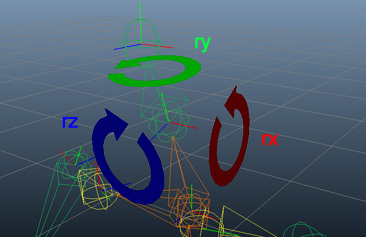 When editing rotation using operators += and -=, the result of the expression code is evaluated as degree angles. When using *= and /=, the result of the expression code is evaluated as a multiplier / divider of the current orientation. Use the "Add New Bone Expression" button and the trash icon to add or remove expressions. Expression which returns the value which will be applied to the bone. Use the icon to enable / disable an Expression without removing it from the behavior. Use the "Add New Bone Pos Filter Expression" button and the trash icon to add or remove expressions. When using the operators += and -=, the result of the expression code is evaluated as degree angles. When using *= and /=, the result of the expression code is evaluated as a multiplier / divider of the current orientation. Name of a Blind Data or a Blend Shape (i.e. or blindDataNode.blindDataAttribute blendShapeGroupName.blendShapeName) which value will be edited. Use the Blind Data Helper to check which Blind Data / Blend Shapes are available for the loaded Character File. Use the "Add New Blend Shape Expression" button and the trash icon to add or remove expressions. Expression which returns the value which will be applied to the blind data. Helper attribute to fetch names of available Bones. Use the button to open a window with the name of all the available Bones for the Character Files loaded in the scene. Blind Data Name Helper Helper attribute to fetch names of available Blind Data or a Blend Shapes. Use the button to open a window with the name of all the available Blind Data or Blend Shapes for the Character Files loaded in the scene. Channel Name Helper Helper attribute to fetch names of available Channels. Use the button to open a window with the name of all the available Channels for the scene. Time during which the behavior goes from inactive to fully active (in seconds). Time during which the behavior goes from active to fully inactive (in seconds). 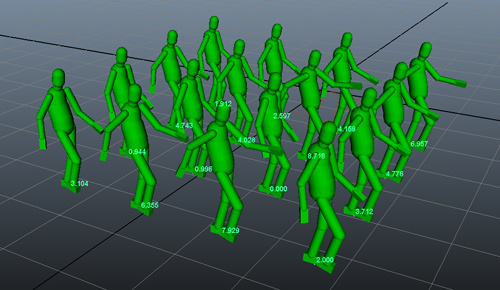 Crowd Ramps which can be used to feed Expressions. Use the "Add New Ramp" button and the trash icon to add or remove ramps. Use the ">" button to select the related Crowd Ramp node and access to its attributes. Evaluation Mode Specifies if this Behavior should be evaluated before of after the Physics Behaviors (and Apex Behavior). 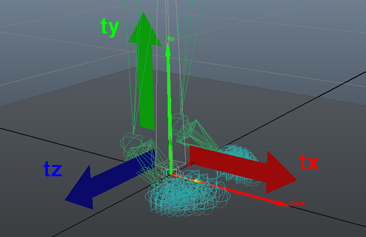 The SetBone Behavior Visual Feedback shows the name of the currently edited Bones, components and the value returned by their Expression (but not the resulting orientation / position / scale of the Bone).